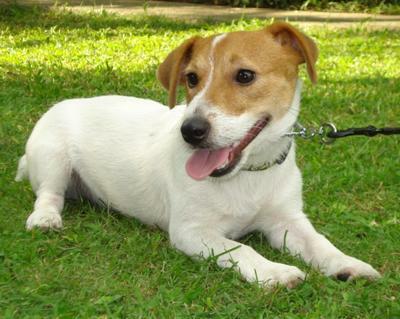 Orange Juice isn't the "greatest" dog in the world, but we love him for the adorable and witty little jack that he is. Indeed, he is a big dog trapped in a little body. Tougher to handle than my german shepherd, he runs like a fox and leaps like a kangaroo. Usually, orange gets the whole household chasing after him - from the kitchen to the garden. None the less, after an energy-boosting action-packed day of bringing down the house, my favorite part is sleeping time and waking up next to the little rascal. Orange Juice our small dog with a big heart! A very cute jack. How did he get his name?